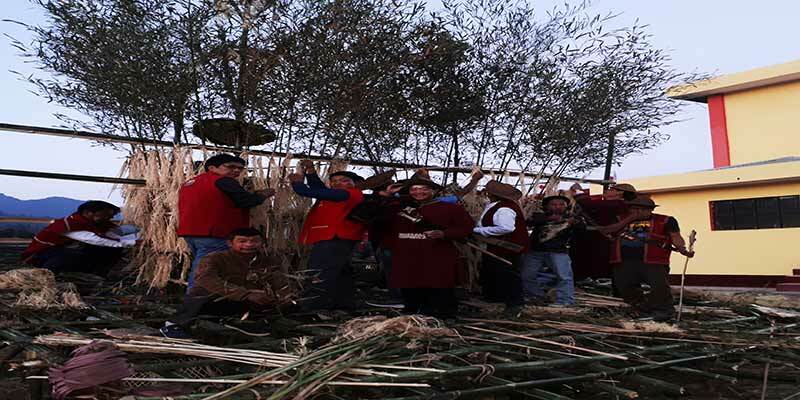 Speaking to Arunachal24 Capital Complex Si-Donyi festival celebration Committee Secretary Take Lusi Sorum said that deck cleared for the celebration of the festival in befitting manner at the Si-Donyi ground here near Helipad tomorrow where eminent personalities are invited and a huge gathering is expected on the occasion. He said that the final construction of ‘Alter’ Hilo Nyigi have been done (the place for sacrifice) with the help of committee members. One of the senior member of the society who was present at the alter said that Si-Donyi festival have been celebrated in capital complex since 1986 while it is the biggest festival of Tagin community have been celebrated with great enthusiasm in Upper Subansiri since 1975. Sorum informed that Minister Power, Textile & Handicraft and Industry Tamio Taga, Capital Deputy Commissioner Prince Dhawan, and Delhi University Students Union (DUSU) President Rockey Tuseed have consented as chief guest, guest of Honour and special guest respectively.